Maddi graduated with a Doctorate of Physical Therapy degree from the University of North Dakota. She is licensed to practice in North Dakota and Minnesota. 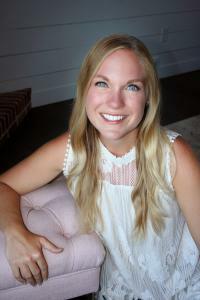 Maddi has over 3 years of experience in the treatment of pediatric gross motor skill development, neuromuscular disorders, and rehabilitation following various surgeries and orthopedic injuries. Maddi loves working with children because of their determination, resilience, and overall zest for life. She enjoys incorporating the child’s interests, hobbies, and personal goals into their treatment sessions to make PT fun and meaningful! Maddi has received training in pediatric bowel and bladder dysfunction, treatment in neurodevelopmental disorders, brain development, gait analysis, and orthotic selection. She is also First Aid/CPR certified and Crisis Prevention Institute (CPI) certified.